In a perfect world all our carpools would run on time, no backpacks would be left on the back seat, construction zones would open as we approached them, and our children would be grateful and respectful at all times. Of course, in a perfect world all our work would come in right on schedule. Editors would never get sick. Layout artists would have no computer problems. And authors would never ever change their minds after they had approved the page proofs of their book. But alas, the world is not perfect quite yet. Sometimes you’ve planned to launch your book and the last two weeks were really tough, and you lose a day here, another day there. It happens. What can you do? But the local book store which has graciously scheduled you for a book launch party, or the restaurant you’ve booked is ready and waiting, and you don’t have any books. Ready to solve your problems is the web-based digital printer, 48HrBooks.com. Located in Akron, Ohio, 48HrBooks.com does one thing, and it does it well: it will proof, print and ship your short run of perfect-bound books in—you guessed it—48 hours. First, understand that 48HrBooks is a digital printer. This company is not a print on demand provider, because they don’t do any distribution. They print softcover, casebound and spiral coil-bound books. That’s it. But because they can print good quality books faster than anyone else, they are a terrific resource to have available. About half of my recent clients have used 48HrBooks for proof copies or for Advance Review or Advance Reader copies. I’ve been impressed with their quality, and all my clients have reported good experiences working with the company and real gratitude about getting books quickly to help with schedules that can’t be changed. 48HrBooks has none of the sophistication of sites like Lulu.com or Blurb.com, with their book-making software, cover creators, and sophisticated video tutorials. But that’s part of its charm. It gets right to the point and answers your questions. Their website provides detailed step-by-step instructions about how their process works. They stick to 4 basic sizes of books, although they will print other trim sizes as well. They will help you get an ISBN and bacode for no extra charge (you still have to pay for the ISBN, the assistance is free). Printed Proof ($40) Books are proofed in PDF format sent to you in email, but if you need a printed copy instead, they’ll send you one. Re-formatting your files ($75 minimum) If you don’t know how to re-format your files to fit a book page, 48HrBooks will do it for you. Converting files to PDF ($50) Can’t figure out how to use their free PDF converter? Don’t have a Macintosh, with built-in PDF conversion? $50 solves your problem. Cover design ($100 or $500) I think you can safely skip the truly dreadful $100 “Create-A-Cover!” feature, but they will assign an actual human to do a custom cover design for you for $500. One of the best things about the 48HrBooks website is the help it provides. Page after page of simple, practical information on every aspect of their book printing. Photos of different kinds of bindings. Step-by-step instructions for just about everything. There’s no fluff here, just what you need. 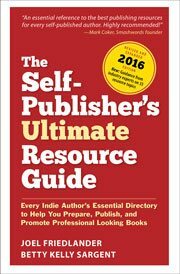 Here’s where 48HrBooks might be of help to other kinds of authors. They provide free downloadable templates for Microsoft Word, along with a unique set of instructions. Why unique? They provide instructions for three levels of users in the one download: Expert, Novice, and Just Getting Started. As you might expect, the templates will produce something book-like, although you may be disappointed with the results. Here’s an example of the 5.5″ x 8.5″ template. I wouldn’t hesitate to send someone here to produce a book for their own use, but I wouldn’t imply they would get a professional looking book. But my clients use the PDF files I prepare for them, and they print beautifully at 48HrBooks. It only stands to reason that books from this vendor will be more expensive than others—that’s the premium we put on speed. 48HrBooks makes it rediculously easy to get a price for your book, with a simple pricing widget right on their home page. They know that’s one of the first thing you want to know, and their approach shows how focused this company is on pleasing its clients. 25 copies (the minimum order) of the book I use for comparisons, a 5.5″ x 8.5″ softcover with 200 pages, will cost $9.05 each. At 100 copies, the unit cost drops to $5.45. For comparison, this same book from Lightning Source would cost $3.50, with no minimum order. That’s about 62% less. Since this is a one-time cost, most clients are happy to pay it in order to get their proofs so fast. Takeaway: When you need 25 or more books in a hurry, you can’t do much better than the simple, customer-focused services of 48HrBooks.com. I am a returning 48hrbooks customer……I have designed my front cover, back cover and spline……what choice do I have in colors and what can I expect for my cover without paying the $100 cover design fee ? Not sure if your question wouldn’t be better answered by the staff at 48hrbooks, but if you have already designed your cover and can upload a reproduction-quality PDF that meets their specifications, you shouldn’t have any worries and won’t need their design fee at all. Awesome info! Thanks for sharing!!! We opted to use 48hr and are pleased with the physical proof. The turn around is amazing. I submitted the files around 11:00PM CST and by 10 AM the next morning the PDF proofs were on line! Happily, our cover and text LSI files met their specs and were used without changes to spine dimensions. I will update when we have received our shipment of 125 books. Future orders will be filled by LSI but 48hr will make the New Zealand book signing possible. Thanks for the lead! We are facing a crazy deadline for an author in New Zealand and are an LSI customer. The book is undergoing review for printing. In anticipation of needing a rush for an NZ book signing, I contacted 48HrBooks and it may yet save the day. We have not placed our order. My primary concern is that none of the three customer reps I have emailed or talked to claim to know of Lightning Source or its cover/text formatting requirements. Today the sales rep said she had never heard of Lightning Source and reminded me that there are many small POD publishers. I had hoped to find someone with knowledge of LSI and to counsel me on any issues I might have if I use my LSI cover and text PDF files. I do not think of LSI as a wee little POD company and am surprised the 48Hr staff does not know the company. Printers are not in the business of knowing every other printer’s equipment so even if they heard of the other company, they would have no idea of the basis of their template standard. 48hr has a very thorough section that explains the best measurements for their process based upon your book size. You may want to do your homework there and compare it to your PDF. Having worked in printing for many years, I can tell you that there are always going to be slight variances of the cover between printers based upon internal paper weight selected regardless and all printers anticipate this. The cover template is for an average weight internal paper selection and assumes that the spine may vary accordingly. I used a standard scale when designing my cover and 48hr did a great job in prepress adjusting my alignment which was only slightly off based on the paper I selected. They are pros at what they do and their customer service is second to none in communicating their capabilities. They have more than enough info on their site for you to make a template comparison yourself as did I. In fact, when I used the exact same template with another printer, it was also accepted with the only issue being a slight adjustment on the spine based upon their equipment and paper. I know you are pressed for a deadline and I can only tell you my experience. When faced with the same issue on a rush job I used them this past week and just got the shipment today for a client doing an appearance in 2 days and we were more than pleased. We compared our template against theirs and changed nothing. They made the spine adjustment and it came out perfect. S Brown, thanks for that. There are many book printers, both offset and digital, and as you say, it’s not their business to know everyone else’s specifications. Spine widths vary depending on the paper used, so it’s always safest to check with your intended printer to get an accurate measurement. Because LSI is highly automated, they require covers that are sized to their exact specifications, and they make this easy by generating free templates based on your input. I use these for every book that goes to Lightning Source. I tried them 2 weeks ago to get a book published for my mother’s 80th birthday. She had written several books in her lifetime but never got them published. 48hr Books were GREAT! They were easy and friendly to work with and the finished product… well it was so good, my mom had tears in her eyes seeing her book was published. Thanks for your information guiding me to them. 48 Hour books is great! They are very easy to work with and the finished product is better than what I recieved from other printer companies. i will use them over and over again as I agree with all the positive statements above. Thanks for your feedback, Craig, you’ve reinforced what a lot of other people have said. Thanks for the great information & for your writing style – genuine, sincere, and straightforward. I appreciate how objective you were, and it really helped me to read your article. Thanks & blessings! It’s my pleasure, Lara, hope you’ll visit again. Thank you so much Joel! We are excited to be part of the publishing industry and provide a unique service. One correction, however… Our minimum order is 10. This actually makes our services are useful for the self publisher who only needs a few along with a larger volume. Our price per book (generally) is still competitive with most POD publishers. Next, we have to get your book published! Thanks for the correction, that does make a big difference. And thanks for running a responsive, customer-oriented business that actually delivers what you promise. Every client I’ve sent to 48hrbooks has been happy with the outcome. Mark, Thanks for stopping by. I’ve heard great things about 48HrBooks customer service, so it’s good to hear that from someone who has used them. Thanks Chris, they definitely ship books faster than I ever thought possible! One thing you forgot to mention. Their customer service is great. I’m looking forward to my advance reader copy of my book, Dancing on the River. That is really sweet of you Mark! I’ve been very pleased with 48hrbooks – it’s really a lifesaver in certain situations.